UPDATE: Finally got my new memory kit and installed it right away. Asus DOCP profile got it to run with 2933 MHz at C16 latency. Also added an image with the new memory. I've been running on an Intel i3-6100 / B150 combo for a few years now and actively looking for a CPU upgrade, since the i3 was bottle-necking many of the newer games i tried (Mass Effect Andromeda for example). 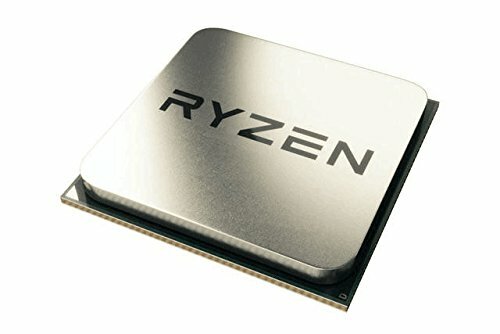 Good thing that I waited for the Ryzen launch, since I found the perfect deal in the Ryzen 5 1600. 6 cores with SMT with a reasonable price tag - what more can you ask for a decent gaming machine? When online shop Alternate dropped their 25 year anniversary one-day-only sale, I said to hell with the waiting and finally ordered. I initially wanted to get a simple B350 board, but since the Asus PRIME X370 was on sale and also shipped with a free Steam code for Prey, I picked the more expensive alternative. The memory you see in the rig, is actually the 8 GB HyperX from my previous system, because unfortunately there are some shipping problems with the Corsair LPX memory and I'm still waiting on that. I will update the build once I finally have it. For the graphics card, I decided to keep my GTX 970 from my old build and wait for AMDs Vega line-up. 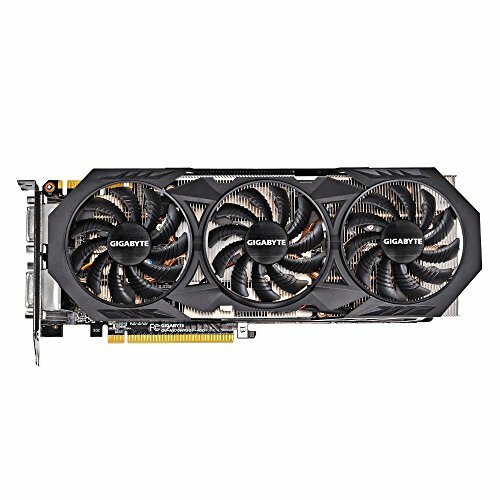 I am hoping to get something close to the GTX 1080 but for a more affordable price :-). So far I am loving the new system and its looks. Its performance is stellar and the CPU usage in most games is somewhere around 20 - 30 % at 60 fps with my GTX 970 (where the i3 was at 100% most of the time). The RGB LED effect on the mainboard also looks very nice, especially when it's dark. For the future I'm playing with the thought of adding some sleeved cables (I'm thinking black/blue) and maybe an LED strip. But that will have to wait for now until AMD unveils Vega. Absolutely great value! 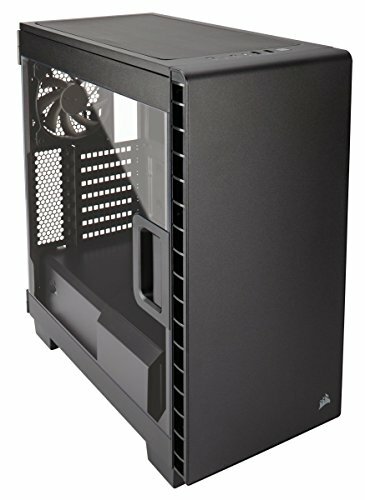 6 cores with SMT for just over 220 € and the included Wraith Spire cooler is actually pretty decent (fairly quiet and keeps the CPU cool enough for my taste). I was considering buying an aftermarket cooler or even an all-in-one water cooler, but honestly I'm just fine with the stock one for now. Also I don't plan on overclocking as long as the CPU is good for 60 fps. Decent memory with a sleek black look. Performs as expected and runs with 2933 MHz C16 on Asus DOCP profile. The Windforce 3X runs very quiet and cool and has been a overall good performer for the last couple of years. No complaints here, but I'm anxious to see AMDs Vega line-up. This case is gorgeous in my opinion. I generally love Corsairs design and my previous build also was housed in a Corsair case (SPEC-03 red). I actually wanted to get the white version of this case, but since this one was on sale I went with it. On the plus side, I now don't need to stick to black/white components. The side window is the number 1 feature here and an awesome way to display your components. Also the opening mechanism is very solid and sturdy, so no worries here. Building inside this case was fairly easy and straightforward, although you have to fumble a bit with the PSU cover to route the cables through there. 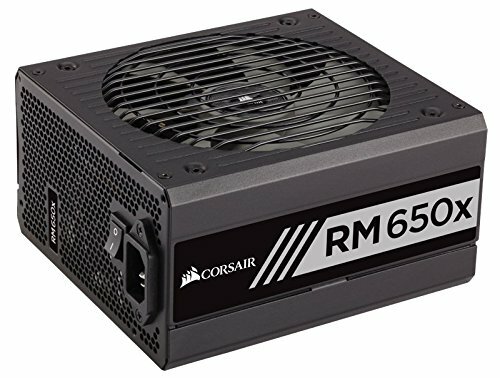 Very quiet and sturdy PSU with fully modular cables. A decent and cheap fan that runs very quiet at around 60 - 80 % rpm. At 100% though you will notice it. The 970 still performs adequately at 1080p so good choice. Hopefully the shipping problems with the RAM are worked out soon! Thanks. I agree, it does in most new games. But there are some (like ME Andromeda) where it has trouble keeping that 60 fps target at high settings. I am planning on upgrading as soon as AMD Vega becomes available. Great build. Love that you kept the GTX 970, it can still bang. what games do you play on it, im thinking of getting a 970 as well with the ryzen 5 1600? At 1080@60fps so far Prey runs very smooth at max settings. Also Batman Arkham Knight at custom high settings and Mirrors Edge Catalyst at high settings. Mass Effect Andromeda though will dip into the 50s and 40s occasionally at high settings. I appreciate the tips! Great quality build! Fun fact: Ryzen's the cheaper deal. You also had to buy a new mobo to get Ryzen working. I've got to admit im in the same situation. Ive got an intel board but want a ryzen PC. It would actually work out cheaper for me to get an unlocked i7 (especially used), than it would to just start from scratch with aryzen chip. Ryzen 5 hex-core (with a decent overclock) is generally superior at gaming than the i5 in recent titles, and as games get more and more multi-threaded the gap is only going to grow. (And outside of gaming, the difference between a 12-thread CPU and a 4-thread one is night and day dramatic, esp. when multi-tasking). 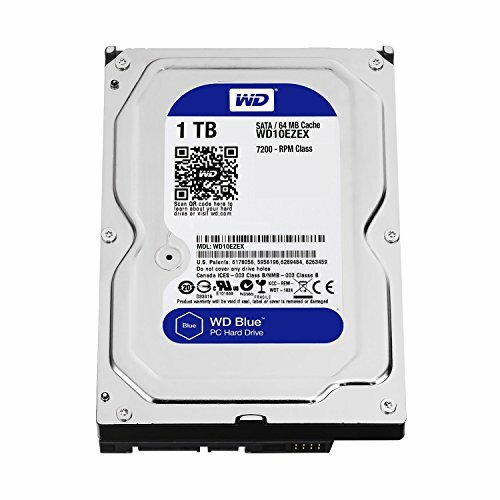 The i7 otoh, is in an ENTIRELY different price range. Not to mention Z270 mobo's are much more expensive than AM4 B350 and budget X370 options, and the fact AM4 is sticking around till at-least 2020 while Z270 is DOA. He made the right choice for his budget, end of story. Yeah...I broke a sweat, trying to keep all the cables inside while putting the shroud in. Also there is not a lot of room for the cables behind the PSU, so I had to offset the drive cage farther to the front.